Going out on a limb I would say that the majority who will read this article at LinkedIn or in some other business oriented venue are, in one form or another, capitalists by nature who are trying to maximize wealth and corporate performance while still serving and promoting their social responsibility as theysee fit. However, if I may bring politics into this discussion for one moment in a direct violation of traditionally accepted business mores, what we are seeing and hearing in the current election cycle is a pro-socialism case that is being made in some quarters that has incredibly gained traction and a significant following. In other words promises of free this and free that to be financed by taxing the ‘rich’ sounds like an easy and simple solution, until of course that source of funds is tapped out and there is no one left to finance things. From the finance/economic blogger Michael ‘Mish’ Shedlock, the shortcomings of capitalism that were put forth by Philip Kotler in an article at Huffington Post are listed followed by the rebuttal of each of his points by Shedlock! But first, repeating another old and cliche quote, ‘elections have consequences‘ and it is up to ALL Americans regardless of political leanings and philosophy to decide who and what they stand for and WHY, and then work to elect those who best represent that way of thinking. If you sit back, listen to slogans and promises and then simply watch the process go by hoping for the best, then ultimately you deserve what you get! Unfortunately, at the same time you will be taking the rest of us down with you. The inflationary policies of central bank planners is the primary reason people do not make a “living wage”. Throughout history people feared automation. Yet every technological advance created new jobs. One reason for the acceleration of job losses now are the very “living wage” proposals espoused by those like Kotler that price humans out of jobs. It’s not the role of businesses, nor should it be, to be concerned with undefinable “social costs”. It’s not capitalism that fails to charge businesses for pollution costs, but rather governments. With his concern about “community commons”, one can easily see Kotler is a dyed-in-the-wool socialist. The problem with socialism is, it does not work and never will. Capitalism does not let “politicians and business interests collaborate to subvert the economic interests of the majority of citizens”. Rather corrupt politicians willing to do anything to get reelected are the problem. In point 12, Kotler argues in favor of “anti-competition”. Competition is the very essence of improved products and rising standards of living. Pray tell, whose “social values” do we need to consider? Mine? Yours, ISIS? Kotler’s? Personally, I do not want some jackass or set of government jackasses, deciding what is socially right or wrong. 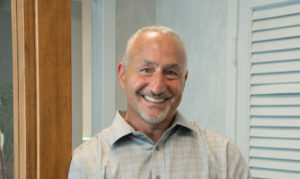 Michael Haltman is President of Hallmark Abstract Service in New York.